Rachael began an acting career in early childhood. The doll’s face of the girl became famous in the country after shooting in advertising. Then Rachael Leigh Cook made it on the big screen. Her starring role was the plain girl, Laney Boggs, in the teen melodrama She's All That (1999). At the end of the film, she becomes so beautiful that the image of Rachael has become the ideal of beauty for thousands of guys around the world. The actress has continued to win the hearts of viewers with her bright appearance and talented acting since. Rachael Leigh Cook was born on October 4, 1979, in Minneapolis, Minnesota. Father Thomas H. Cook is a social worker and a former comedian. Her mother JoAnn Leigh Cook is a cooking instructor. Rachael is of English and Italian ancestry. The actress has a brother, Ben. At the age of 7, the girl began a modeling career. The future actress first appeared in a public service announcement. Then the country saw Rachael on the boxes of dog biscuits and in photography magazine advertising. When she was ten years old, the model had an agent, who helped Cook film in television commercials. The girl studied at various institutions, including Clara Barton Open School, Laurel Springs School, Minneapolis South High School. While working as a model, young Rachael had time to participate in school musicals. 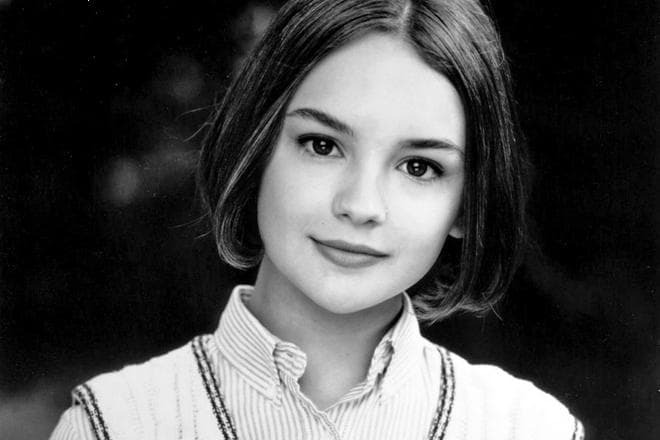 Rachael made her film debut in 1995 in the film The Baby-Sitters Club. The bit part of Mary Anne Spier was not very successful, but critics appreciated her next role of Becky in the movie Tom and Huck which earned the YoungStar Award nomination for the actress in 1997. At the same time, Rachael first played in the TV series Country Justice and the comedy Carpool with Tom Arnold. Then, Leigh Cook had appeared in about ten films, before she got a starring role in the movie She's All That in 1999. The actress’s heroine, Laney Boggs, is a plain girl who is unpopular with students at school, unlike Taylor, the recognized beauty and girlfriend of the most desirable guy Zack Siler. However, Taylor has left Zack for another man shortly before the prom, so the offended guy says that he can turn any random girl into the Prom Queen and chooses Laney. Millions of teenagers liked the story of the transformation of the ugly duckling into a beautiful swan, as well as the romantic relationship of Laney and Zack (brilliant Freddie Prinze Jr.). The movie grossed over $ 100 million at the box office. For the bright role, the actress won 5 prestigious awards, including the MTV Movie Awards, Teen Choice Awards, and Kids' Choice Awards. Rachael Leigh Cook became enormously famous after the release of this film, which, of course, made her an in-demand actress. Next time, she was at the peak of glory again after appearing in the movie The Bumblebee Flies Anyway (1999). She played with Elijah Wood in this melodrama story. The man portrayed a patient of the psychiatric clinic, Barney Snow, who comes back to life after meeting Cassie (Rachael Leigh Cook). 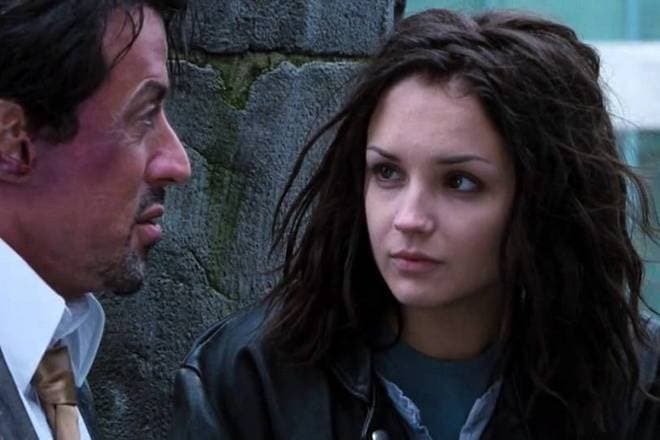 In 2000, the actress appeared in the top-grossing action movie Get Carter with stars such as Sylvester Stallone, Mickey Rourke, and Michael Caine. The young woman played Doreen, the daughter of Ritchie Carter, whose murder his brother Jack Carter (Stallone) comes to investigate. In 2001, five films with Leigh Cook were released. At first, she played the leading role together with Ryan Phillippe in the thriller Antitrust, then participated in another significant project in her filmography. Texas Rangers (2001) tells the story of the bloody events along the Mexican border after the Civil War. The same year, Rachael made her British film debut. She met stars such as Natasha Richardson and Alan Rickman on the set of the comedy Blow Dry. In 2001, her greatest success was the comedy Josie and the Pussycats about the trio of talented singers (Rachael Leigh Cook, Tara Reid and Rosario Dawson) who conquer the big stage. “I am learning to play the guitar, which is very difficult. But I’m determined to do it not to make anyone angry,” Rachael recalls and laughs. She has also mentioned that the shooting helped the three actresses become good friends. The actress has like comedy genre. Soon, the woman appeared in the black comedy 11:14, in which she played Cheri, an adventurer who gouged money out of her lover to escape with another man, but she eventually died behind the wheel. The project was followed by the comedy film Scorched. Leigh Cook played the leading role again together with Alicia Silverstone and Woody Harrelson. In 2005, the actress appeared in the mini-series Into the West, produced by Steven Spielberg. The actress played Clara Wheeler in the drama telling about the fates of the Lakota Indians and the Wheelers, an American family, who became intertwined. She won the prestigious Western Heritage Award for her role. At the end of the 2000s, Leigh Cook played in three successful films: the comedy Blonde Ambition (2007), the detective film Nancy Drew (2007), the crime drama The Lodger (2009). In 2011, fans saw their favorite actress in an unusual genre of vampire films. Her character Laura King is obsessed with the main hero, Simon, who believes himself to be a vampire. The film Vampire was nominated for the Grand Jury Prize for World Cinema - Dramatic at the Sundance Film Festival. The same year, the actress starred in her favorite comedy genre, playing psychologist Rachel Levy in the movie The Family Tree. In 2012, the series Perception premiered on TV, in which the movie star had a prominent leading role. The woman played Kate Moretti, an FBI agent, who recruited her former teacher to work in a secret lab. The project was a success on TV until 2015. Rachael will play a new role in a television project in 2018. In the series Frozen in Love, the favorite actress of millions of viewers plays Mary Campbell, the owner of a bookstore, who is desperately looking for ways to make her dying business work. Mary invites hockey player Adam Clayborn (Niall Matter) to promote the shop, which causes chemistry between two people. The actress got married in 2004. Rachael Leigh Cook became the wife of actor Daniel Gillies. The couple has two children: daughter Charlotte Easton (born September 2013) and son Theodore Vigo Gillies (born April 2015). Rachael does not like to tell of her personal life. On Instagram, she does not post photos of children, but people can see her slim figure in a bathing suit (her height is 5.15 ft. (157 cm)) and gorgeous dresses, photos of numerous journeys, film sets, etc. In 2012, Leigh Cook decided to organize a program that awarded scholarships to gifted students between ages 14 and 19 to help them pay for career classes. Now the actress continues to star in the series Frozen in Love. In 2019, she plans to play in new bright projects which she still keeps under wraps.